For the first time, Samsung has overtaken Apple globally to take number one spot in terms of Internet usage. Furthermore, Google’s Chrome browser overtook Microsoft’s Internet Explorer for the first time in the US. The latest data comes from website analytics firm StatCounter, which charted the changes between all different devices, operating systems, and browsers over the last 12 months (between July 2012 and June 2013). 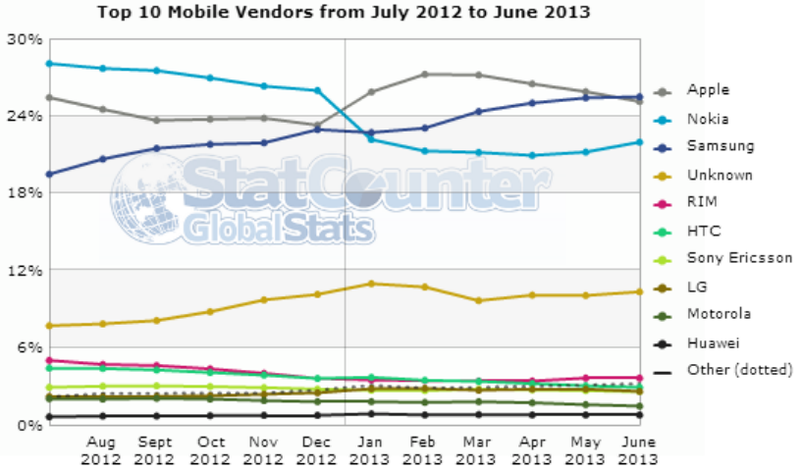 12 months ago, Nokia led globally in terms of Internet usage, although Apple surpassed it in February. In June 2013, however, Samsung (25.47 percent) leapfrogged both Apple (25.09 percent) and Nokia (21.96p percent) to take the lead. Those numbers are for worldwide use: in the US and UK, Apple remains the clear leader, at least according to StatCounter. As you can see in the chart above, however, Samsung’s lead may not last for long. As we’ve discussed multiple times before, almost every mobile market share study shows that the iOS browser is used significantly more than the Android browser, meaning mobile traffic cannot be reliably used as a metric for device adoption. Nevertheless, these studies are mainly focused on the US market, and StatCounter is claiming here that Samsung has surpassed Apple globally in Internet usage share. 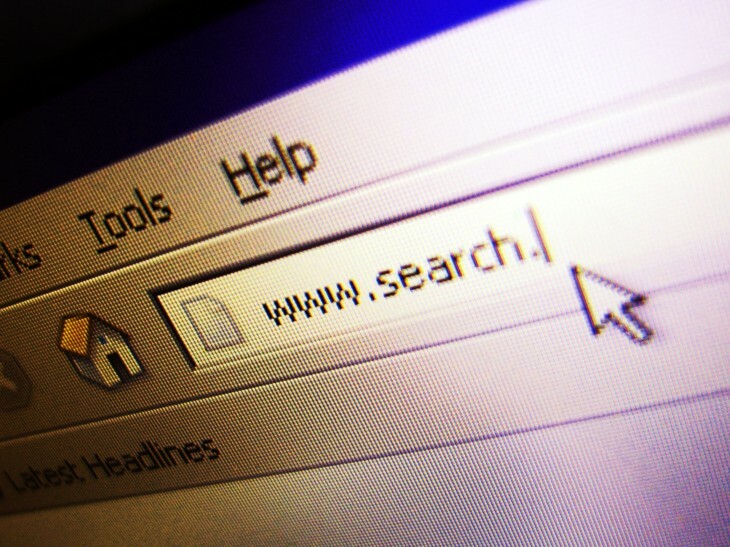 In May 2012, StatCounter reported that Chrome had become the browser leader in terms of Internet usage worldwide. In June 2013, Google’s browser overtook Microsoft’s for the first time in the US as well: 34.02 percent share (up from 23.84 percent 12 months ago) compared to 32.46 percent (down from 40.89 percent). 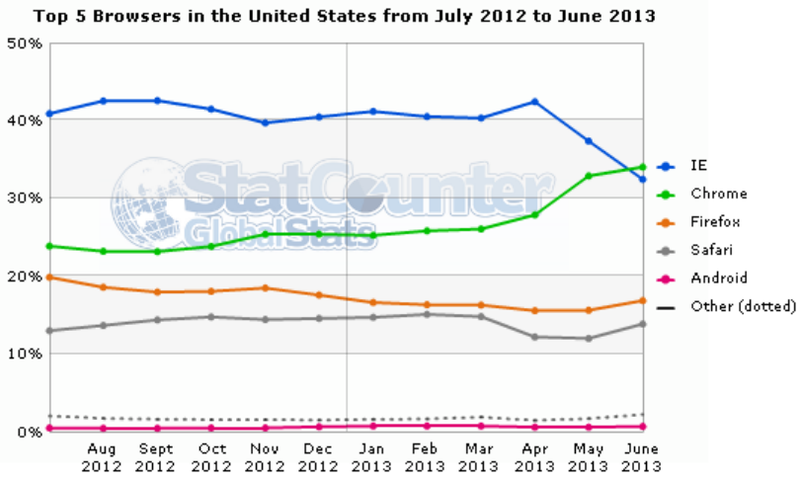 When comparing these figures to previous StatCounter numbers, Chrome’s win in the US is no surprise. Yet as we note every month when we compare StatCounter data against Net Applications data, the former looks at page views while the latter looks at users. This is crucial to keep in mind when keeping track of how each platform is doing. You can check out the full PDF report yourself here: StatCounter Internet Wars Report – Winners and Losers (July 2012 – June 2013).